Ernesto Valverde called up 18 players for the midweek fixture at Butarque (8.00pm CEST). MATCH PREVIEW! 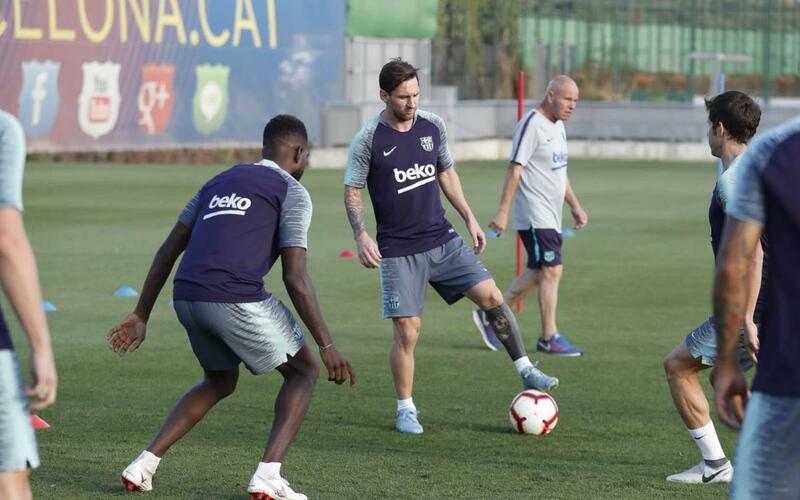 In a busy week consisting of three league matches, Ernesto Valverde’s side will play their second against Leganés this Wednesday at the Butarque stadium, kick-off is at 8.00pm CEST. Denis Suárez, Rafinha, Sergi Samper and Carles Aleñá have been left out by Valverde, and Clément Lenglet is suspended. On Tuesday the team trained for the last time before the match. Iñaki Peña, Juan Miranda and Riqui Puig from Barça B joined in the session on the Tito Vilanova pitch.